Many small membership churches today are faced with the sobering reality of attendance loss and overall decline. This resource provides a guide to help you find hope, alternatives, and the possibility of a new beginning. 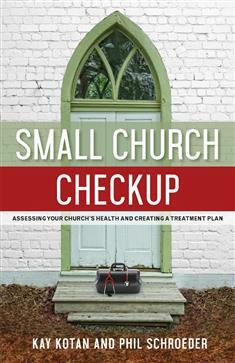 Included are tools to help you measure your church's vitality, evaluate the results, and diagnose your church's condition, along with several options for treatment plans as you seek to faithfully serve your community. Remember that we can choose our story. If we believe in our hearts there is another possibility, we can be faithful in choosing intentional pathways forward that honor God, the church founders, and generations to come. Follow the steps outlined in these pages to evaluate where you are and what the next steps on your journey need to be as you seek to be a "not yet big church," "a stable, small church," or a church that chooses to close and be repurposed for unexpected new life.